This month sped by, and it’s already that time for the March recap! Fri – Out for my birthday dinner with B’s dad! Sat – Out again… we almost always go out to eat after church! We’re getting ready to book our condo for our beach trip this summer, and it’s had me thinking about all of our past trips that were just so wonderful. It’s one of our favorite things each year, and we are all dying to go back. Jacob has been asking when we are going to the beach for the last eight months. Lol. Even though the time change has wreaked havoc on my sleep schedule these last couple of weeks, I am enjoying having the extra daylight in the evening. Because of this extra daylight we have been able to resume our evening walks after dinner and it has been heavenly. Also a great thing since I’ve been so busy during my lunch breaks and haven’t been able to make it to the gym much. And don't ask me what both of the kids are looking at in this picture. Lol. I have no clue. March hasn’t been too terribly busy, so we’ve been hanging out at home a lot, working on a few projects. I’ve been purging and reorganizing our kitchen as well as my master closet and it feels so good. This past weekend we went to Atlanta for a little weekend getaway and we had a great time shopping, eating, and going to Lego Land. You can see the recap here. Hmmmm, this is always a tough question because fortunately there’s not really ever very much to dread. Maybe the extreme summer heat and humidity? Or that B is going to be going out of town for a day in April and I’ll be doing the whole rearrange my work schedule so I can do the drop-off/pick-up both kids on my own? I wouldn’t say that I’m dreading that, though, because he won’t be away at night. I do dread when he’s gone overnight. 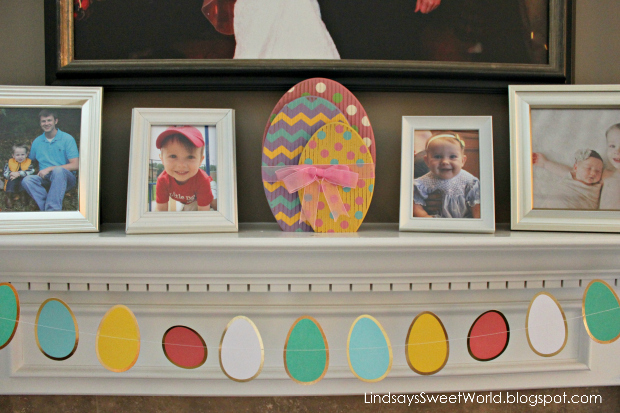 I’m getting ready to start decorating our house for Easter! I’m behind this year. I’m trying to decide if I’m going to change up the decorations or keep them the same as last year. My birthday month is April, so I’m going to make everyone celebrate me all month long! Haha. Watching – a whoooole lot of Gilmore Girls because most of our other shows are done for the season. Anybody else already going through This is Us withdrawals? That show is just so good and I’m sure going to miss it for the next 6 months. Can’t stop won’t stop listening to Ed Sheeran’s new album. I honestly didn’t think that there was any way possible that I would love this album as much as his last album, but you guys, I love it even more. It has definitely already made its way into my top ten favorite albums of all time… maybe even top five! Gasp! There is not one bad song on it. Heck, there’s not even one mediocre song on it. They are all fantastic! B was able to get fourth row seats to his Nashville concert in October and I am dying. I haven’t been this excited for a concert in a long time. I’m also jamming to several other albums/songs… you can check them out on my spring playlist here! There’s so much goodness here… makes me want to crank it up, kick up my feet out on the back porch, and sip on a Moscow Mule! I’m currently obsessed with off the shoulder tops. I’ve worn three in the last couple of weeks and I have plans to wear another one on B’s and my date night next week. We’re heading to see Chris Stapleton and I’m thrilled! I think 2017 is going to be known as “The Year of Live Music” for B and me… we’ve already been to two, and we have tickets to three more this year and it’s only March! Friday evening we’ll be celebrating my birthday with B’s dad. Then Saturday and Sunday we actually don’t have any big plans. After our weekend in Atlanta last weekend, it will be nice to kick back and relax and get some things done around the house. Lots of things! My birthday, the Chris Stapleton concert, a field trip to the strawberry patch with Jacob, taking the kids to an air show, a mother/son dance with Jacob, the annual fundraiser for Jacob’s school (it’s usually a derby theme but this year they’re doing a Casino Night), possibly taking the kids to Disney on Ice if we can swing it amidst all of the other things, more dinners on the back porch, and lots more after dinner walks! Can I get an amen! I participated in a Girl Box Mom Swap recently and it was so much fun! I was paired with Lacey at Perks of Being a JAP and she and her daughter Sadie got Olivia so much great stuff... princess stickers, a princess mess-free coloring set (Momma likey), a Tangled purse, and some princess lip gloss. The funniest part about it was that Olivia and I bought something for Sadie that was identical to one of the things that they bought for Olivia!! Great minds think alike! Wanna see what we bought for Sadie? Head on over to Lacey's blog to see! I love the gifts Olivia received in the swap. So perfect for her princess loving heart. Her big smile is the best. Yay for your birthday month! All your meals this week sound delicious, and you know I love all the family dinners you have! Yay on the gift haul Olivia, so fun!!! Whoohoo beach planning for summer!! I am with you, not one bad song on Ed's new album, so so good!! Have a sweet Wednesday love!! Yes, it was SO fun! She has been loving her lip gloss! And yes, Ed Sheeran can do no wrong! Y'all had the best trip to Atlanta!! Love all of Olivia's goodies from the girl box swap! Perfect for her!! Birthdays are so fun. I love to celebrate all month too! Olivia is so cute and looks so happy with all the fun gifts she got! Your April sounds sooooooooo fun! And yay for booking your condo soon!! I cannot wait to be on a vacation, I need one so bad LOL! What awesome stuff Olivia scored in the girl mom box swap!! Oh those gifts for Olivia are SO cute! You are obsessed with off the shoulder and I still haven't found one to try on. Of course I really haven't been doing much shopping lately either. I need to get on that pronto. So I gotta know where in GG you are. I watched 28 episodes last week... Pretty sure that is a fact. So I am currently on 6:5 but have really lost steam since I am not in bed with a fever any more. That beach trip looks so lovely! The girl mom swap looks like so much fun. Happy almost birthday! How funny that you two bought each other one of the same things! Happy almost birthday! I cannot wait to start eating dinner outside again, my kids have been begging to do it but it has been so rainy. A beach trip sounds like so much fun, and what a great concert to look forward too! We really do need to get our porch cleaned off! I'm hoping that this weekend we will get everything in order. I'm ready to start enjoying these temps because I know they won't last long! Pretty soon it will be miserably hot. You're the second blogger I've read about having an entire birthday month coming up! I totally need that in MY life! Y'all's mom/daughter box swap looked like so much fun. Pack me away in a suitcase so I can go to the beach, too! It's been a few years, but we love Gulf Shores, AL. Super fun! Loving all the Disney princess goodies Olivia scored! I can't believe you guys sent each other the same purse - so funny. Oh my gosh why are yall so fabulously cute?! LOVE that turquoise bikini and off the shoulder top! You have me craving the beach like nothing else right now! I have the same white Old Navy dress!! I love it. And seriously a Cupcake ATM - that is an awesome find. Olivia scored in the Girl Mom Swap box. 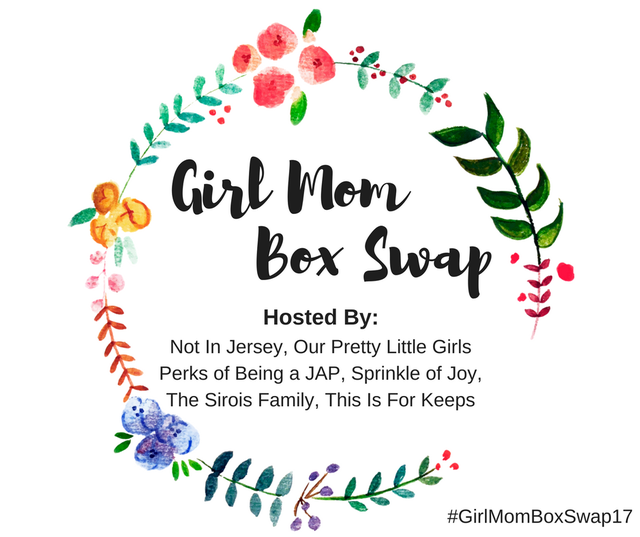 Oh my I love that Girl Mom Swap box! How often do they do it?!?! Where can I sign up? Love that blue off the shoulder top! So CUTE! And happy early birthday!! I'm so glad Olivia loved everything! And still cracking up that we sent each other the same purse for the girls! Happy early birthday! Just give the book up already! That made me laugh - thanks for the shout out. Cheers to birthday month!!! Oh my goodness, your packages were very similar! I bet she was so excited to open it up! She definitely was! She's been carrying her lip gloss around all week! Friend, I love that turquoise bikini! And dang, mama…look at that bod!! You’re a hottie. What a fun exchange! I love seeing all the girly stuff. I live in a complete boy’s world. I have 4 nephews!! Love all the stuff that Olivia got. Great minds think alike. I am excited for April, Spring and the upcoming Summer season! I can't wait to get my hands on a shoulder top. I'm also dreading the heat -- it's awful and so not fun! Yay for upcoming birthday month!! Olivia looks so happy with her new goodies, so cute! Okay so can I just say how utterly fantastic you look in a bikini?! Haha! You go, mama! Haha. Thank you so much, Brandi! You are too kind. Loving your beach pictures!! Getaways are always so much fun. Yay for upcoming birthday celebrations! I have to say you can definitely rock an off the shoulder top. I'm reading Two by Two, too! I've been pretty mad the whole book so I hope it gets better! And such a cute swap! Two By Two was not a good book, in my opinion. I finished it but it felt so angry compared to Sparks' other work. I'll forever be a fan of The Notebook. Thanks, Danielle! And isn't that crazy that we got them the same thing? Olivia was so excited about the Tangled purse because she didn't want to send the one that we got. She wanted to keep it for herself. Lol. I adore that off the shoulder top on you! So cute! Sounds like Lego Land was a blast. Wish we had one closer. And almost happy birthday, yay! I didn't realize it was so close! The highlight of our year is always our trip to the beach!! Do y'all go to the same spot every year? The beach is my happy place and the summer is never complete until I make it there. Still crushing on that ots top! And super jealous of all your concerts. Ugh...kids sports just make it so hard to plan too far in the future. 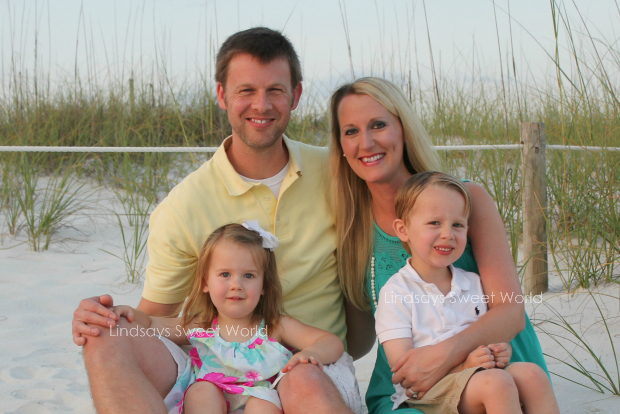 Lindsay's Sweet World is Two!